As airlines and hotels continue to devalue their programs again and again, it becomes more and more obvious that putting your everyday spending on a co-branded card, like a Citi AA card, Chase United card, or Delta AMEX card, is foolish. Those cards offer nice benefits like free checked baggage and more that make them worth keeping, but other than the signup bonus, they don’t offer a compelling value for spending. You should not lock yourself into any single mileage currency if you can avoid it. Airlines and hotels are not loyal and don’t deserve your loyalty as it won’t be rewarded in kind. You can earn more points per dollar on everyday spending by using a card with transferable points like Chase Freedom Unlimited (Normally earning 1.5 points per dollar and currently offering 3 points per dollar for up to $20K in spending during the first 12 months on a new card signup), Chase Ink Unlimited ($500 signup bonus in the form of 50,000 points plus 1.5 points per dollar spent), or The Blue Business℠ Plus Credit Card from American Express (Earning 2 points per dollar spent on up to $50K in annual spending per primary card that you have). 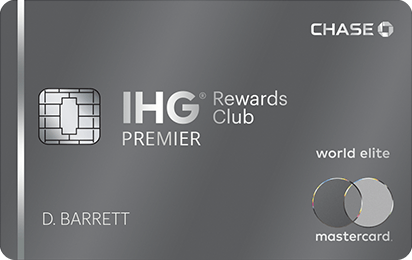 But even more critically than earning more points per dollar, those cards offer “hybrid” points that allow you to choose between redeeming your points for cashback, redeeming your points for paid travel, or transferring your points to many different airline and hotel mileage programs. 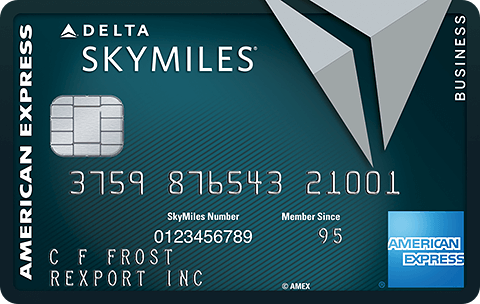 A co-branded card locks your miles into one airline or hotel. When they devalue their points, your points are worth much less. But if you have transferable points with cards from banks like AMEX, Capital One, Chase, or Citi you can find another airline or hotel that isn’t actively devaluing their points. Or you can redeem for paid tickets. Or you can cash your points out. That flexibility is valuable. Having a Business Platinum® Card from American Express allows you to receive a 35% points rebate when redeeming points for paid coach airfare on the airline of your choice and on premium cabin airfare on all airlines, making the 2 points per dollar earned on The Blue Business℠ Plus Credit Card from American Express even more valuable. 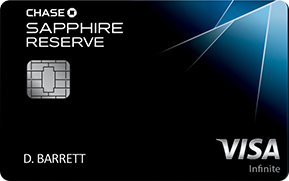 If you have a Chase Sapphire Reserve your points are worth a minimum of 1.5 each towards paid travel. If you have a Chase Sapphire Preferred or Chase Ink Preferred your points are worth a minimum of 1.25 each towards paid travel. As you can earn between 1.5-5 points per dollar everywhere that means you earn a minimum of 2.25%-7.5% towards paid travel. Airline miles and hotel points can be worth even more than 1.5 cents each and with transferable points you can see when the miles are worth more than 1.5 cents each and transfer them when you need them. By optimizing how you use them and transferring on demand, they won’t be devalued without recourse. It’s true that as airlines and hotels devalue their programs that the upside of transferring bank points into mileage programs will go down. I still think there will be opportunities for outsized mileage values, but that they will become more rare as awards begin to shift towards dynamic pricing rather than published award charts. But that’s OK if you have a card that allows you to redeem for paid travel at a good value or look for value in mileage transfers. You just need to compare the cost of redeeming for paid travel versus the cost of award travel via a mileage transfer to an airline or hotel program. In other words, if a paid ticket from JFK-LAX is $125 and the mileage cost is 12,500 you can use your Chase points at a value of 1.5 cents each and book the ticket for 8.3K points. Note that your spending earns more than 1.5% back as you also earn between 1.5-5 points per dollar spent. If a last minute paid ticket from Cleveland to NYC is $500 and the mileage cost is 7,500 BA Avios (for travel on American) or 7,500 Avianca Lifemiles (for travel on United ) you can transfer your AMEX/Chase points into airline miles and realize a value of 6.7 cents per point. As you can earn between 1.5-5 points per dollar everywhere that means you earned between 10.05%-33.5% towards paid travel. One-way travel, last-minute tickets, and premium cabin travel often offer great values for your points. You can use partner mileage programs, like Air Canada, ANA, Avianca, Singapore, and many more, to book travel on United for fewer miles than United charges. 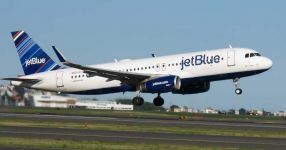 Same goes with Flying Blue or Virgin Atlantic for Delta travel and British Airways or AA travel. 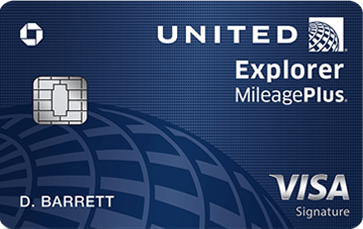 That’s why even in an era of devaluations I’ll still be using mileage cards over cashback cards. At least until all of the transferable airline and hotel programs go full JetBlue/Southwest by directly tying the award cost of a ticket to the paid price, which would kill the ability to earn that outsized value. There’s no doubt that outsized values are becoming harder to obtain, but I don’t see it going that far. Of course only time will tell. If that happens I’ll have to reevaluate what cards I should be using. Until then, strategies like the Chase Quinfecta and cards like AMEX Blue Business Plus suit me just fine. Will devaluations change your spending strategy? 33 Comments On "Airline And Hotel Program Devaluations Prove Why Transferable Point Currencies Are Critical"
I follow your strategy as well, and fully agree. Am starting to think about cash back cards a bit more though, but still not enough to forego spend on Chase UR cards. We’re certainly on the decline from the golden age and there may be a breaking point where I too will switch over to a pure cashback card, but we are not there yet IMHO. You may as well make your new points worth money by switching to cashback cards. Dan- does AmEx give instant card numbers on business cards (Blue Business) too? Basically just stick with AR and UR besides for bonuses on airline/hotel cards. Is that what ur saying? I’d also keep airlines cards open for benefits like free bags and expanded award availability, but yes, that’s still my strategy even with devaluations. What about for International business class awards? 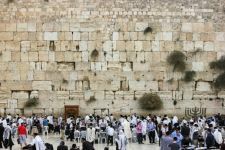 Will you still be able to get outsized value when traveling to Europe, Israel, Asia, etc.? I spend aout $2 million on UPS shipping a year. What card would you suggest is best to use? AMEX Biz Gold earns 4x, up to $150K/card annually. 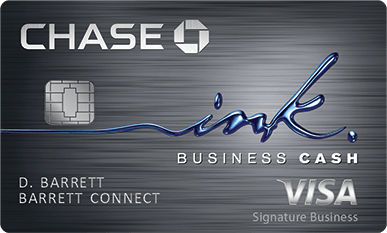 Ink Preferred earns 3x, up to $150K/card annually. 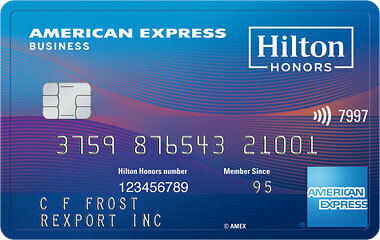 Marriott Biz AMEX earns 4x uncapped. Are chase csp/csr really worth 1.25/1.5 anywhere or only what you can book on expedia? You can book only through Chase which has there system running primarily through Expedia. Great post. Thank you Dan. Overall this change will hurt more “opportunistic” miles collectors. The vast majority of people don’t know/use Avianca, ANA, Aeroplan, KrisFlyer or BA-Iberia-Aer combinations. 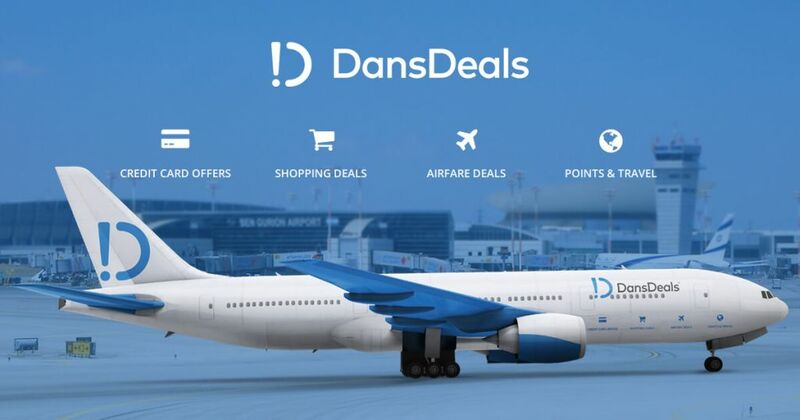 Another advantage of hybrid points over redeeming with airline points is that since you are redeeming your points for paid travel, you can earn airline miles for flying. @Dan What’s your reasoning for preferring Amex Blue Business Plus over the SimplyCash Plus Business Credit Card from Amex? 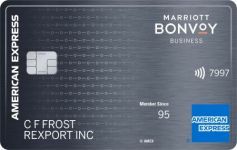 Amex Blue Business Plus earns 2 points per dollar and can transfer those points to airline and hotel programs. 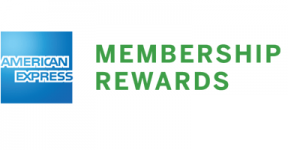 Or you redeem redeem those points with an AMEX Business Platinum and get a 35% rebate on paid airfare. Don’t ignore elite qualification bonuses for spending, which is the main reason why people spend (a lot) on Delta Amex cards. As elite comp upgrade rates plummet, elite status has never been worth less. 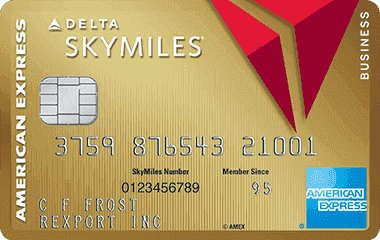 Think of the cost of locking up that spend into earning Delta Skypesos before chasing elite status. My upgrade changes increase significantly every time I go up a status level on Delta, especially out of New York where I can pick flights with a higher chance of upgrades. I can calculate the cost – SkyPesos are worth 1 cent to 1.2 cents. I get 1.4 redeemable miles per cent when spending $25,000 with the Delta Platinum, plus MQM and an MQD waiver. So let’s value it at 1.54% back (assuming the 1.1 cent per mile). I could be putting that nonbonused spend on a Freedom/CSP and say get 2.25% back. So I am “paying” about 0.61% on the spend in opportunity cost essentially for Platinum status, so $152.50. I think that is well worth it. And how does that compare to doing the same to earn UA Platinum? I have no idea – I’m not a United flier at all. I’m fact I am looking forward to the no close in fees to use my low balance United miles on domestic flights when cash rates are cheap (which is often on Saturdays). I don’t believe they have any way for credit card spenders to earn elite qualification benefits. I was just making a comment on co-branded card spending more generally. 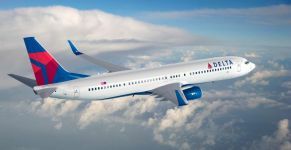 As a business traveler who can’t pay for most of his own travel with his own cards, the Delta Amex is a great way to get a status boost with nonbonus spend. I still use Sapphire / Amex for bonus categories, and I am building up some CapitalOne miles as well. I imagine some American cardholders feel similarly about their cards. I wouldn’t be surprised if United added some other elite qualification benefits to spend on their card in the future. If you run the cost benefit analysis and it makes sense for you, then great. Some people put $250K on their card for diamond. To each their own. Can you or have you in the past posted how to book United rewards on other airlines for less miles? 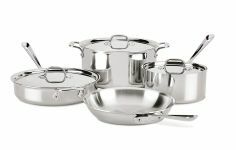 Is it simply setting up a FF account on those programs and searching awards? Why does this anomaly exist? Just search for an award ticket on an airline website. They charge different rates for awards than paid flights, so you just need to search all options to see what’s best. It’s another option. I’ve seen FB with Delta tickets from JFK-TLV for 25K. Always going to need to check all options. When booking through Amex Travel, does it count towards MQD, MQM…? Dan, based on this post, I would like to transfer my Delta available credit to my Amex Everyday Preferred, and then cancel my delta card. I have $30k available credit on each, is it safe to transfer the delta credit to the everyday, where the everyday would then be $60k credit limit? I am also focusing on the chase quinfecta for these reasons. I haven’t been able to bring myself to use the Amex blue business card much due to the lower typical value of MR vs UR. What percentage of spend do you aim for on that card? Is the double cash card from Citibank a good card? I think they offer 2% cashback on all purchases.